She's ok now but christ almighty, that thud. You can base your entire life around the teachings of Homer Simpson and you may remember the moment when Springfield's wisest man gave us all the best film review in cinematic history. "Barney's (film) had heart, but Football in the Groin had a football in the groin", never a truer word was spoken about this classic that starred Hans Moleman. 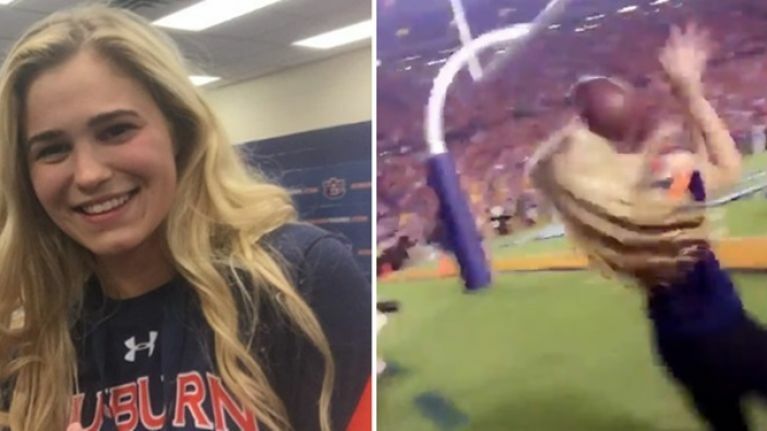 Sports photographer Ashley Ward isn't as famous as Moleman but she did her very best to match his finest moment during a recent college football game in Alabama. With 87,000 people watching on, she tried to catch a long punt downfield but ended up getting smacked in the face by the ball. Unfortunately for Ashley, the moment was filmed from on another angle - listen to the thud - but to her immense credit, she's taking it all in her stride and is even joking about the incident.